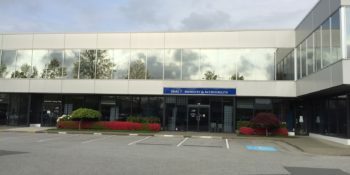 HME’ s serves Vancouver, Richmond, Burnaby, North Shore and surrounding areas from our centrally located HME Vancouver location in Richmond which features a warehouse and headquarters. With over 18,000 SF Warehouse and 2,000 SF showroom, HME’s Vancouver location offers the largest home mobility warehouse in all of BC. With wheelchairs, walkers, transport chairs, lift chairs, beds, stairlifts and other mobility products on display. Furthermore, our trained HME representatives are there to tailor your visit to meet your needs. Let our friendly and knowledgeable staff help you! We are open Monday-Saturdays at this location, and this is also the HME headquarters for all of HME’s locations across British Columbia. Meet the HME Richmond team! The team consists of a talented group of client service specialists, CSR’s and technicians. They like to watch ‘Friends’ during their lunch breaks and every month they go out on “foodynights” to try different cuisines. They always look forward to HME staff lunches featuring the office favorites: fried chicken, spring rolls and noodles. Many team members are either musicians or just love listening to various kinds of music. If you don’t live in the Vancouver, Richmond, Burnaby area – see if one of our other locations is closer for you. We have HME locations in South Surrey and downtown Victoria, BC. Our products are available for you to test out in-person at all three of our warehouses. Use our customer service request form for all product servicing or support related requests. Are you a therapist or medical professional needing information on product or to request product trial.